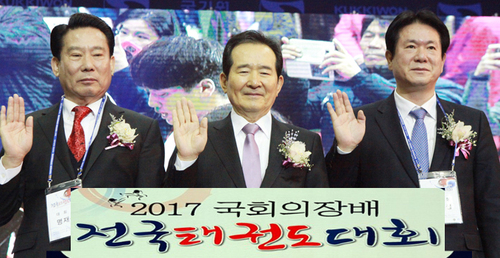 Taekwondo Promotion Foundation (TPF,Chairman, Lee sang-wook, hereinafter referred to as TPF) and King Sejong Institute Foundation (Chairman, Kang Hyeon-hwa, hereinafter referred to as King Sejong Institute) signed business agreement for mutual development. 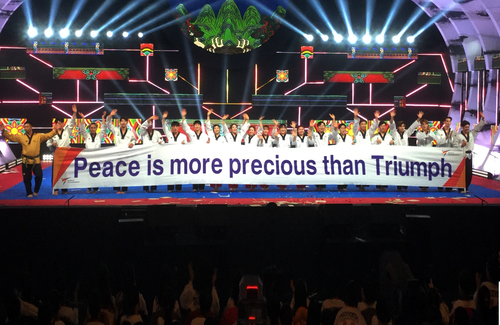 In 20 (Thur), TPF and King Sejong Institute gathered at convention room of TPF Operation Center in the presence of head director Lee Sang-wook of TPF and Chairman Hyeon-hwa Kang of King Sejong Institute. 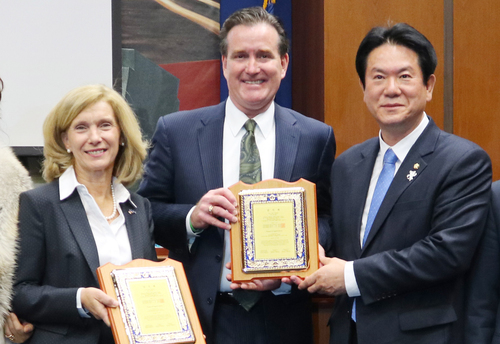 On the day, TPF and King Sejong Institute signed business agreement for spreading Korean culture and strengthening cooperation for ‘Enhancing national prestige through taekwondo and Korean language’ and ‘overseas distribution and promotion of taekwondo and Korean language’. 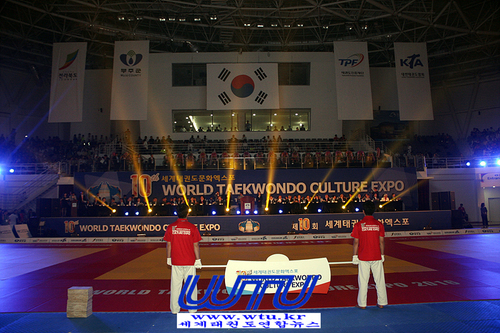 TPF said that the facility and educational environment of ‘Sacred Place of World Taekwondo, Taekwondowon’ will help in preceding King Sejong Institute’s various programs and spreading Korean wave. 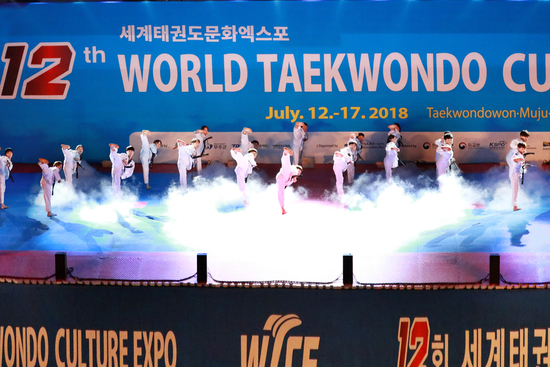 In addition, TPF plans to utilize King Sejong Institute’s educational and cultural infrastructures which reach up to 172 places in 56 countries to ‘expand taekwondo base’ and to promote and invigorate ‘Sacred Place of World Taekwondo, Taekwondowon’. 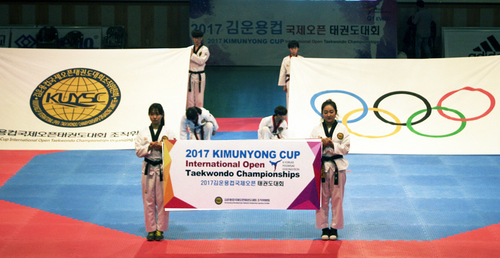 On the day, Chairman of King Sejong Institute visited Taekwondowon (TPF) and said that “We are happy to sign business agreement with TPF which is striving for enhancing and distributing taekwondo” and that “Our King Sejong Institute will cooperate with TPF to promote Korean language and taekwondo which are proud cultural assets of Korea”. 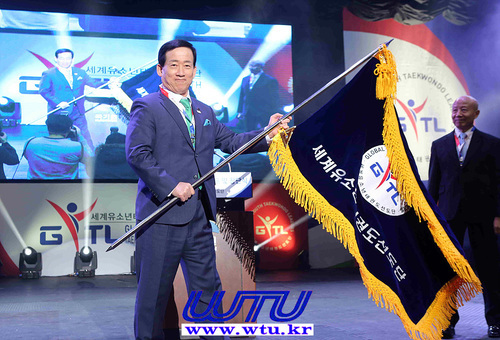 Also, Chairman Lee sang-wook of TPF said “King Sejong Institute is working hard for promoting Korean language and Korean culture all over the world and we are happy to spread and distribute taekwondo and Korean language with King Sejong Institute”. 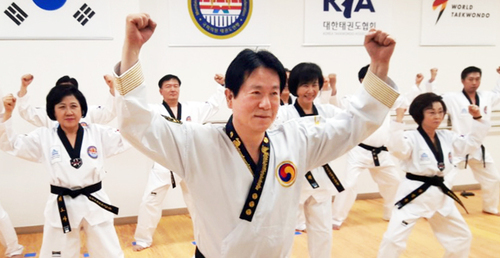 He also said that “TPF and King Sejong Institute will work together for promoting taekwondo and Korean language to developing into the cultural contents representing Korea”. 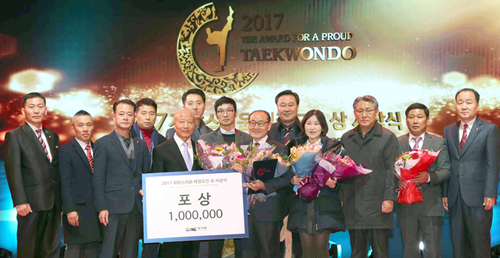 After signing the business agreement, executives including Chairman Kang Hyeon-hwa of King Sejong Institute toured Taekwondowon and enjoyed taekwondo performance. 태권도진흥재단(태권도원)은 세종학당재단(이사장 강현화, 이하 세종학당)과 상호 발전을 위한 업무협약을 체결했다. 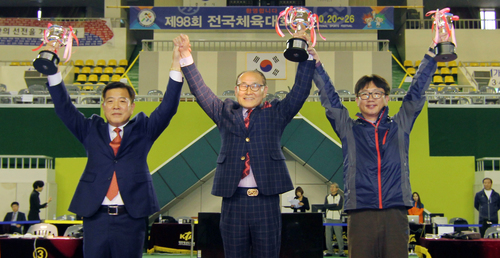 20일(목), 태권도원 운영센터 대회의실에서는 태권도진흥재단(TPF,이사장 이상욱, 이하 TPF)와 강현화 세종학당 이사장 등이 참석한 가운데 ‘태권도와 한국어를 통한 국위선양’, ‘태권도와 한국어의 해외 보급 및 활성화’ 등 한국 문화 확산을 위한 업무협약을 맺고 협력을 강화하기로 했다. 재단은 이번 협약을 통해 ‘세계 태권도 성지, 태권도원’의 시설과 교육 환경 등이 세종학당의 각종 프로그램 진행과 한류 확산에 도움 될 것으로 보고 있다. 또한, 56개국 172개소에 달하는 세종학당의 교육 및 문화 인프라를 활용해 ‘태권도 저변 확대’를 비롯한 ‘세계 태권도 성지, 태권도원’ 홍보 및 활성화에 기여할 것으로 기대하고 있다. 이날 태권도원(TPF)을 방문한 세종학당 강현화 이사장은 “국기 태권도의 진흥·보급 등을 위해 노력하고 있는 TPF과 업무협약을 맺게 되어 매우 기쁘게 생각한다”라며 “앞으로 세종학당재단과 TPF이 함께 대한민국의 자랑스러운 문화유산인 한국어와 태권도를 더욱 널리 알리기 위해 함께 노력하자”라고 했다. 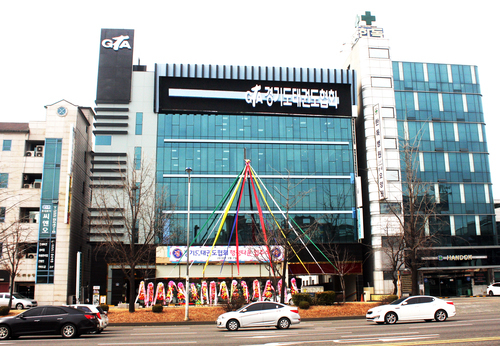 TPF 이상욱 이사장은 “전 세계 방방곡곡에서 한국어와 한국문화 등 우리나라를 알리기 위해 노력하고 있는 세종학당재단과 손잡고 태권도와 한국어를 보급·확산 할 수 있게 되어 기쁘다”라며 “태권도와 한국어가 대한민국을 대표하는 문화 콘텐츠로서 앞으로도 더욱 성장하기 위해 함께 노력하겠다”라고 했다. 한편, 세종학당 강현화 이사장 등 임직원들은 업무협약 체결에 이어 태권도 시범공연 관람 등 태권도원을 견학했다.